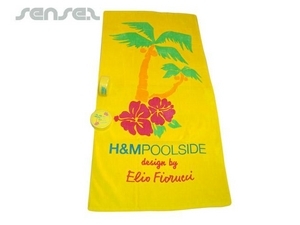 Nothing suitable in promotional compressed towels & t-shirts? How about custom branded towels, logo printed corporate refresher towels or one of our promotional mail out microfibre towels? Custom shaped and printed promotional compressed towels and T-Shirts with branding are a space saving and compact promotional give away! Sure to surprise how much can fit into the smallest of compact sizes. A compressed hand towel can be compressed to a size as small as a bar of soap! 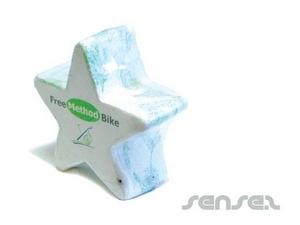 Or a custom branded and shaped compressed Tshirt can end up with a similar shape to a phone! 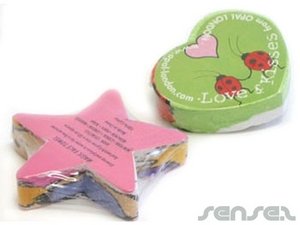 Other standard compressed shapes available are compressed heart towel, compressed star towel, compressed bottle shaped towel, logo printed compressed car towel, compressed lip towel, compressed beach towel or compressed hand towel compressed pill shaped towels- great for pharmaceutical promotions! 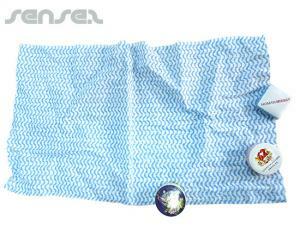 Or compressed can shaped towels ideal for fizzy drink giveaways! Definitely a creative logo merchandise idea to promote your business! 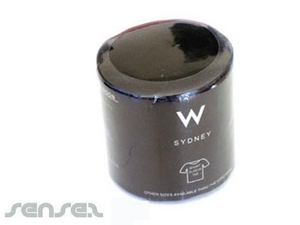 Fun also for souvenirs are standard shaped compressed T-shirts, as they won't take up much room in the suitcase. Compressed towels help create brand awareness and are ideal for when it comes to unusual promotional products for business marketing. Don't miss our compressed sponges either! They compress to be nearly as thin as a piece of cardboard! Impressive indeed! Personalised with custom logo print!